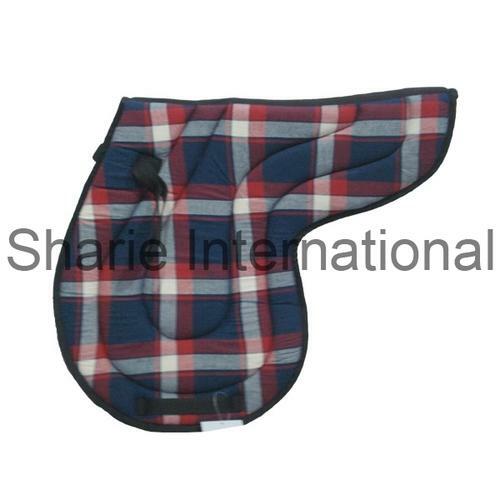 Backed by an extensive industrial experience of more that eight years, we, Sharie International have gained immense expertise in manufacturing and exporting a precision designed array of Horse Riding Accessories, Textile Goods and Pet Products. Designed as per changing market trends, the range comprises a broad spectrum of products that can be classified in categories such as Horse Clothing, Horse Saddles - English Saddles, Stock Saddles, Synthetic Saddles, Treeless Saddles, Western Saddles and Horse Bridles. In addition to these, we specialize in offering Leather Halters, Riding Full Chaps, Riding Half Chaps, Horse Rugs, Tournout Rugs, Saddles Blanket, Western Saddles, Nylon Halters, Horse Rain Sheet, Stable Rugs, Saddle Blankets, Leather Chaps, Saddle Pads, Dog Rugs and Horse Riding Accessories - Riding Ropes and many more. Supported by a tam of expert professionals, we have been able to offer best in industry range to our valued clients. Highly talented, these professionals ensure that the complete range is specially manufactured using optimum grade raw material, sourced from only reputed and certified vendors of the market. Further, making judicious use of all the machines and equipment installed in our manufacturing unit, these professionals aid us in meeting both the customized as well as bulk demands of the clients. We offer across the national and international market.